Today, independent analyst firm KuppingerCole Analysts released its 2019 “Leadership Compass: Privileged Access Management” report. Maintaining our overall leadership position for four consecutive years, CyberArk surpassed 19 other evaluated vendors, demonstrating advantages across product, innovation and market evaluation categories. According to the report, “CyberArk remains the vendor of choice for global organizations seeking a comprehensive, market-leading privileged access management solution for complex requirements.” Identified as “the most prominent vendor” in the market, we are honored to be recognized for our “focus on constant innovation” as we help customers proactively protect against advanced cybersecurity threats and adopt digital transformation strategies with confidence. This market leadership recognition comes on the heels of the 2019 RSA Conference 2019, where CyberArk was named the 2019 SC Award winner for Best Enterprise Security Solution, once again reinforcing privileged access as an enterprise security priority. 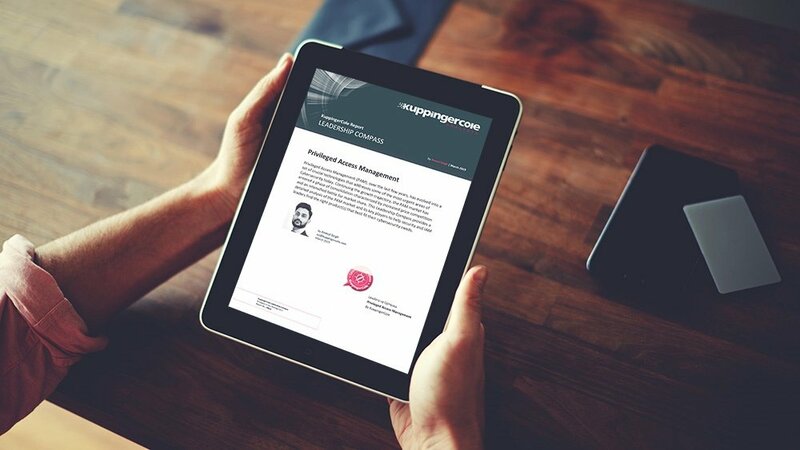 You can download a complimentary copy of the KuppingerCole Privileged Access Management Leadership Compass report here. To learn more about what sets CyberArk apart, visit here.